In 2015 Azone International teamed up with the talented Kinoko Juice to bring fans KIKIPOP! Doll collectors knew of Kinoko Juice from their cute resin dolls which sold exclusively in Japan. 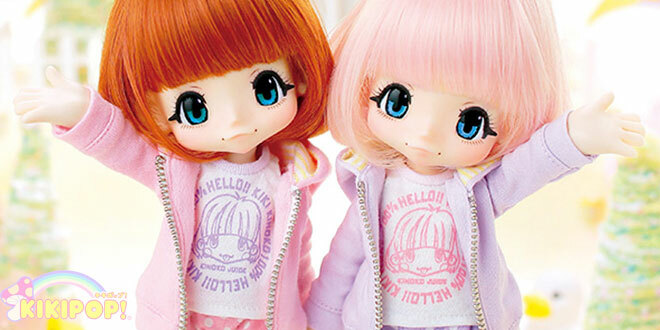 Their partnership with Azone meant fans worldwide could now own a Kinoko Juice doll. Azone’s KIKIPOP! girls consist of ABS Plastic & PVC material. The material may be different from the original Kinoko Juice dolls but KIKIPOP! is just as cute! Get to know the lovely Azone & Kinoko Juice's girls by clicking on a link below.